German Chancellor says Europe must take destiny into its own hands after Brexit, Trump election. 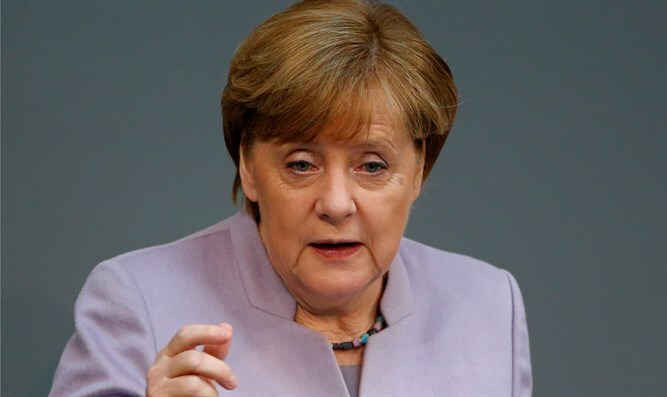 German Chancellor Angela Merkel called for Europe to "take its fate into its own hands" in light of what she said was the EU's inability to rely on Britain and the US in light of the Brexit vote and the election of Donald Trump, AFP reported. "The times in which we could completely depend on others are on the way out. I’ve experienced that in the last few days,” Merkel told a crowd at an election rally in Munich Sunday. "We Europeans truly have to take our fate into our own hands." Merkel said that while Germany would continue to be a friend and ally to Britain and the US, it could no longer rely on them the way it had in the past. Merkel's remarks came after she returned from the G7 and NATO summits, where US President Donald Trump shocked the representatives of the countries in attendance with his straightforwardness. Trump called on European NATO members to pay their fair share towards the alliance instead of leaving America to foot most of the bill for them. He also did not pledge to uphold the Paris Accord on climate change which his predecessor, Barack Obama, had signed. The agreement was never ratified by Congress. "The whole discussion on the topic of climate was very difficult, not to say very unsatisfactory" Merkel said of the G7 summit. "Here we have a situation of six against one, meaning there is still no sign of whether the US will remain in the Paris Accord or not," she added. Trump stated on his Twitter account that he would make a final decision on whether to abide by the climate change agreement this week.